Based in Stirling, we have worked throughout Alloa and the surrounding areas. 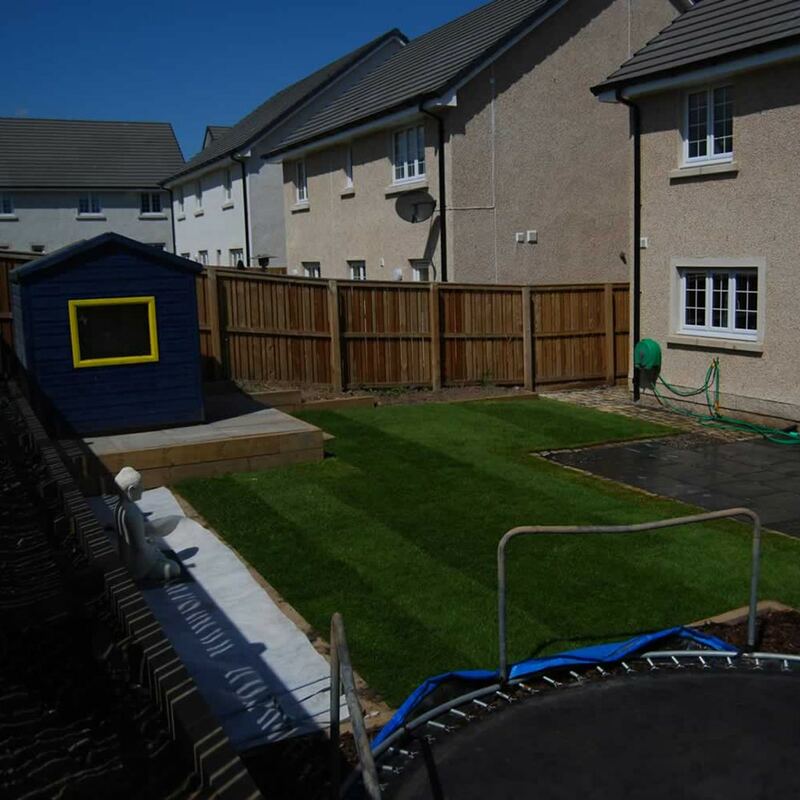 We consider all landscaping within central Scotland. Please look through our portfolio to see if we provide the landscaping or services you need. Aiming to bring a friendly reliable service, we are proud in our work, carry the highest levels of workmanship seeing every project through to full customer satisfaction. We are more than happy to take enquiries, if you cannot find relevant information here, please contact us and we’ll do the best we can to help. We erect all types of fencing from concrete panel and post to timber frameworks. Brick walls and any kind of boundary divisions undertaken. Please enquire for any further details. We are experienced pavers laying all manner of flags and paving stones. All jobs are carried out thoroughly ensuring proper excavations and foundation groundwork is in place. Having laid thousands of metres of Indian sandstone, we specialize in this product and pride ourselves in knowing that our Indian stone is laid with expert care and attention, for a second to none finish. We also lay flagged and block paved driveways. 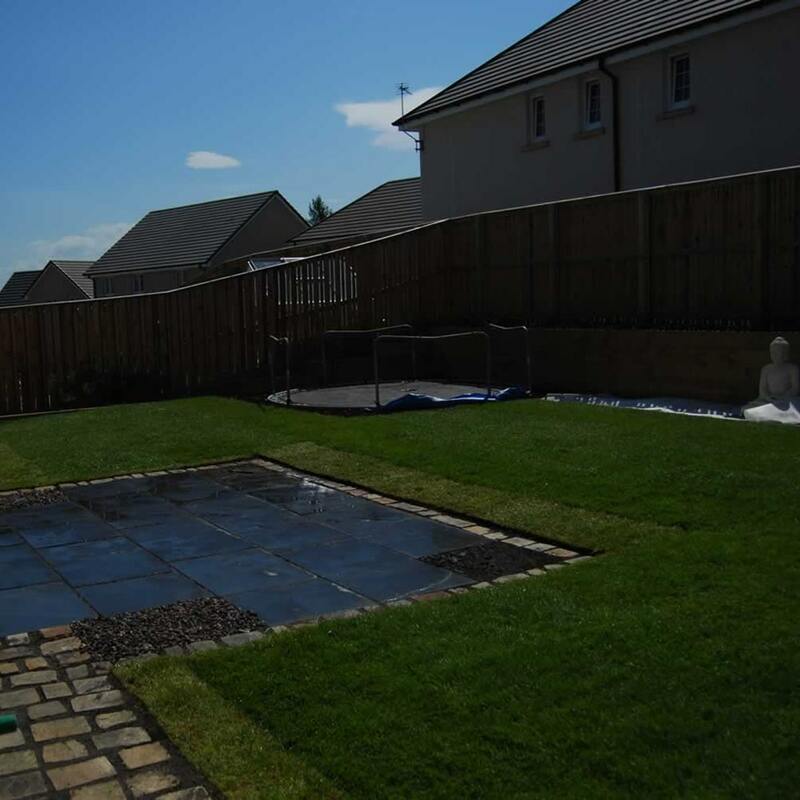 As with our paving, care is taken to ensure all groundwork is more than ample and highest standards are kept throughout construction of a new driveway. We have lifted and corrected many lawns, patios and hardstand areas – correcting serious drainage problems. Please get in touch for advice/more information if you have any issues with water on your property. We construct and install all shapes and sizes of decking. Using basic grade pine deck boards, through to higher end American Southern Yellow Pine and Hardwood timbers. All built to solid frameworks/foundations and to a high standard finish. We can clear any type of debris from site areas. All tree-work and shrubs felled and cleared. Lawns/beds/bankings excavated & all spoil removed. Please contact us for any information on machine work & excavations.